2017. 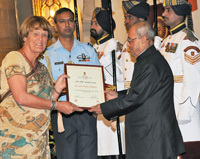 Nari Shakti Puruskar (Women’s Power Award) by the President of India, Shri Pranab Mukherjee, for more than 25 years of engagement and research with the Raika pastoralist community. The prize was presented in a ceremony held on 8th of March, International World Women’s Day, in the Rashtrapati Bhavan in New-Delhi. 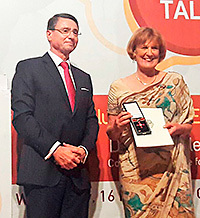 The awards are given every year by the Ministry of Women Child Development to institutions and individuals – to powerful women – who have made exceptional contribution to society. This year the Selection Committee was chaired by the Minister of Women Child Development Maneka Sanjay Gandhi. 2014. Marwar Ratna Award for “Exceptional and Outstanding Contribution in the Field of Conservation, Preservation and Promotion of Regional Culture and Heritage”, presented by H.H. Maharajah Gaj Singhji II of Jodhpuron 12th May, 2014. 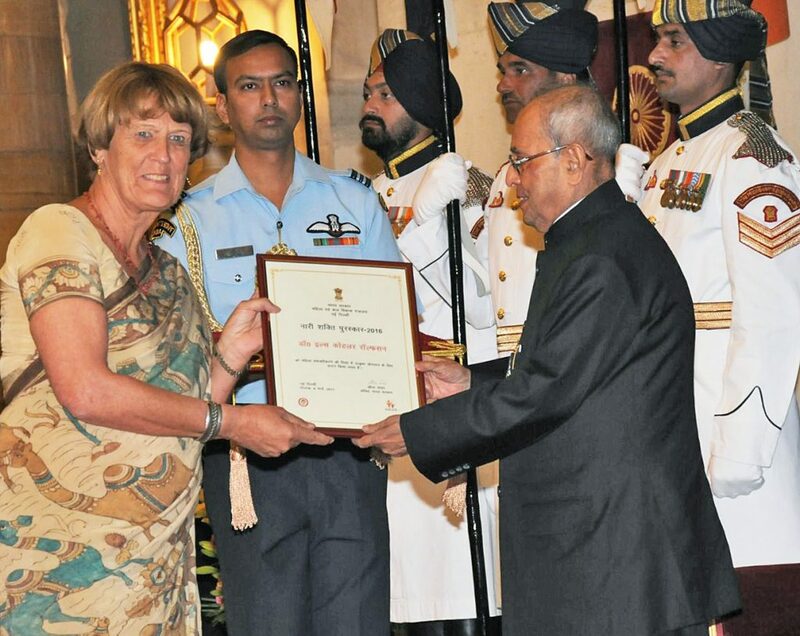 This honour was jointly awarded to Ilse and to Hanwant Singh Rathore for their efforts over two decades to save Rajasthan’s camels as well as the associated Raika culture. 2002. Rolex Associate Award for Enterprise. Protect an ancient Rajasthan community’s way of life.